Pioneers in the industry, we offer fiberglass swimming pool service, frp waterproofing, swimming pool frp service, frp pools service and swimming pool leakage service from India. We are the leading manufacturer and supplier of Fiberglass Swimming Pool for Kerala, Pondicherry & TamilNadu Areas; Chennai, Coimbatore, Cuddalore, Dharmapuri, Dindigul, Erode, Kanchipuram, Kanyakumari, Karur, Krishnagiri, Madurai, Nagapattinam, Namakkal, Perambalur, Pudukottai, Ramanathapuram, Salem, Sivagangai, Thanjavur, Theni, Nilgiris, Thoothukudi, Trichy, Thirunelveli, Thiruvallur, Thiruvannamalai, Vellore, Villupuram, Virudhunagar, Ariyalur, Thirupur, Thiruvarur. Our company is highly appreciated for designing and engineering the tanks for a long time therefore we came along with FRP Tank Water Proofing. Our product is designed by our trained professional who ensures that the product is error free and fully functional. Our product is top ranked among other dominant manufacture of square tank. 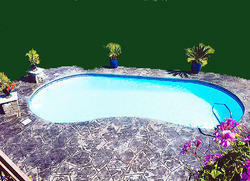 Swimming pool solutions offered can be made available in different finish specifications as demanded from us. With phenomenal market understanding, we are able to introduce an extensive range of FRP Pools. Pools surface, walls, and pavements’ joints are built using FRP soft lining. Such process help in making the joints and surface looks astonishing due to providing fine and smooth finish. 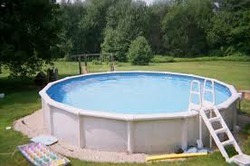 Commercial, training and domestic pools are often laminated using the FRP lining. Our professionals utilize optimum grade FRP materials and adhering to industry quality standards during lining process. 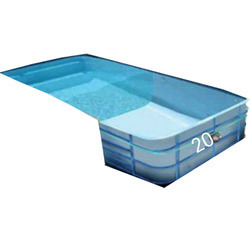 We are the leading manufacturer and supplier of FRP Pools for Kerala, Pondicherry & TamilNadu Areas; Chennai, Coimbatore, Cuddalore, Dharmapuri, Dindigul, Erode, Kanchipuram, Kanyakumari, Karur, Krishnagiri, Madurai, Nagapattinam, Namakkal, Perambalur, Pudukottai, Ramanathapuram, Salem, Sivagangai, Thanjavur, Theni, Nilgiris, Thoothukudi, Trichy, Thirunelveli, Thiruvallur, Thiruvannamalai, Vellore, Villupuram, Virudhunagar, Ariyalur, Thirupur, Thiruvarur.